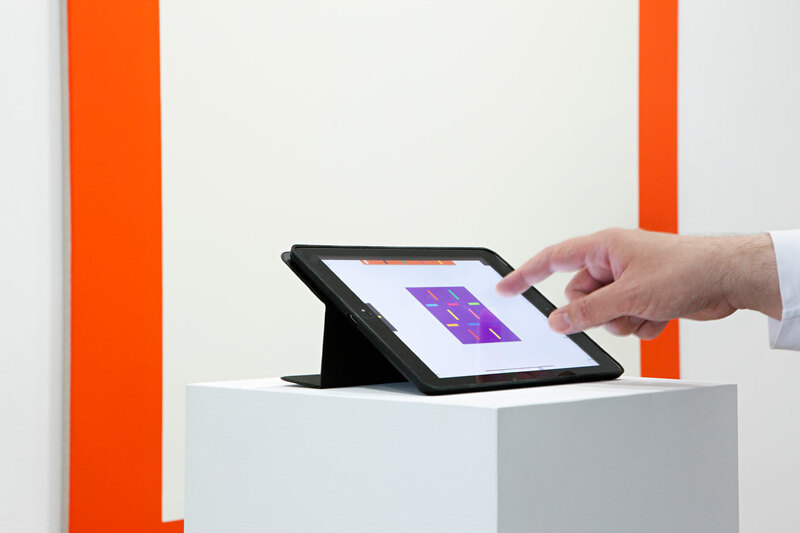 Steven Aalder’s digital catalogue was launched on the occasion of the opening of his new exhibition Acts & Places on May 24, 2014 at Slewe Gallery, Amsterdam. 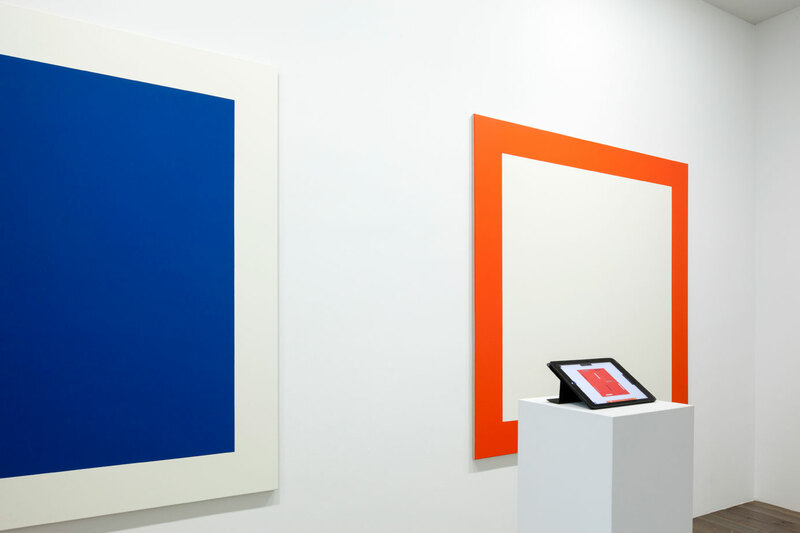 Aalders is known for his meticulous hand made abstract oil paintings, in which the heritage of modernism of Mondrian and American Minimal Art has been processed. 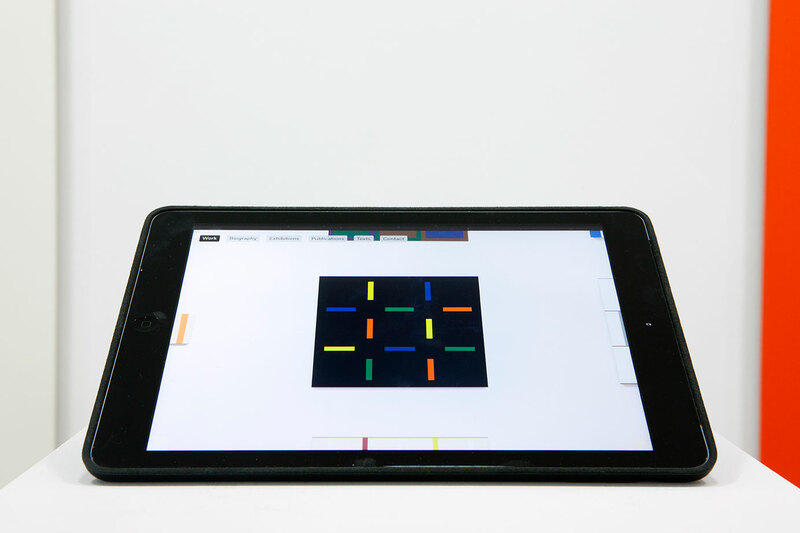 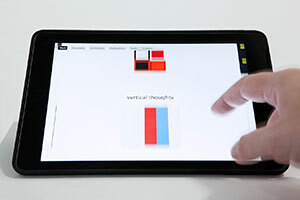 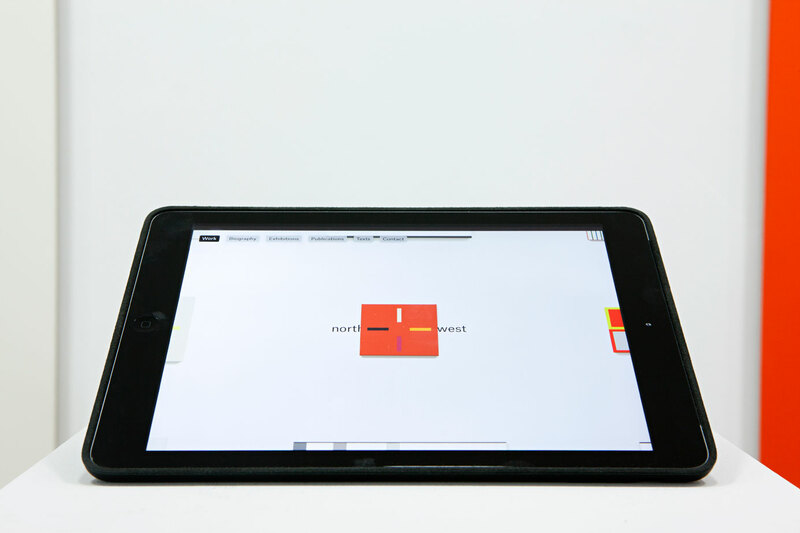 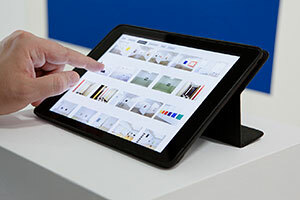 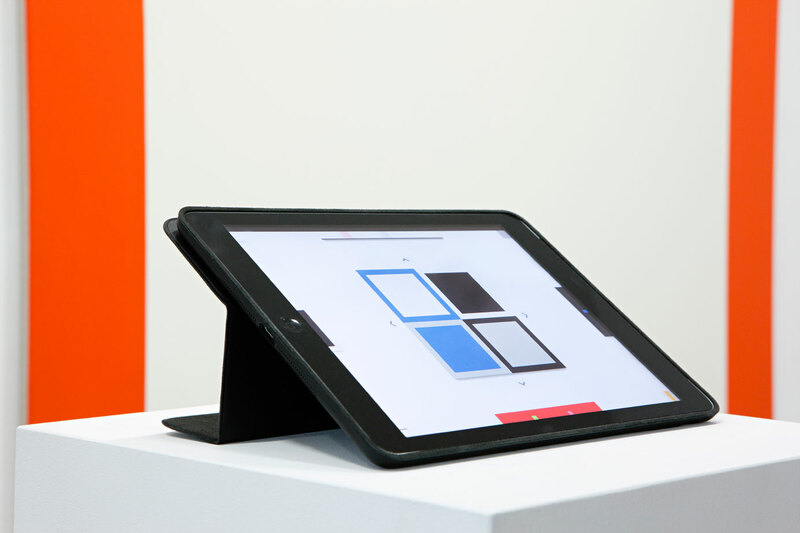 www.stevenaalders.nl has been optimized for tablets, by using high resolution imagery and providing an interactive experience through multi-directional swipe gestures. 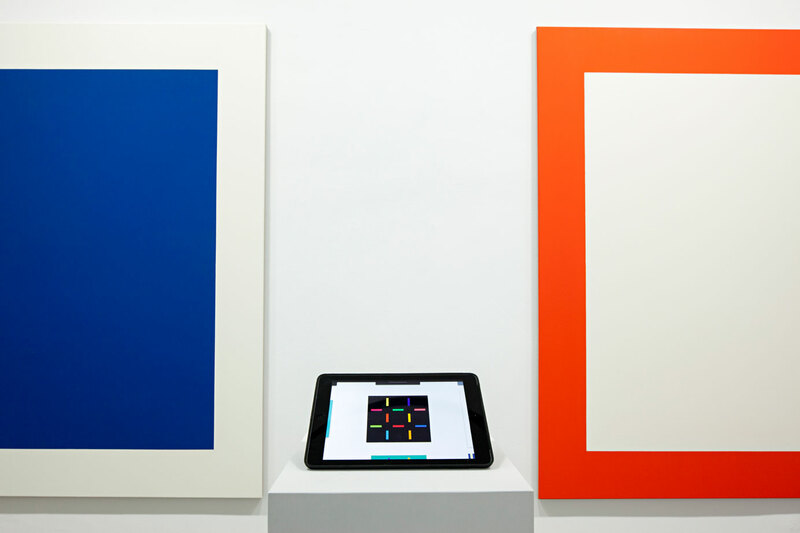 It presents 30 years of work painted on an endless HTML5 canvas, which allows for a free, unlimited and intuitive exploration of the artist’s works. 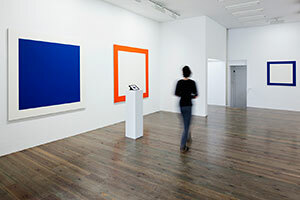 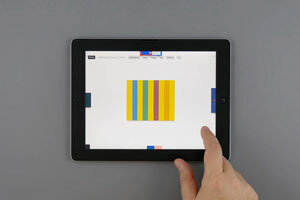 At any point in time, a selected painting is centered on the screen and small parts of 8 other pieces are distributed around the edges of the screen, inviting to browse further. The key interface feature is a layered interplay of text and image. Keywords appearing behind the paintings expand the meaning of abstract shapes and trigger the user with unexpected associations. 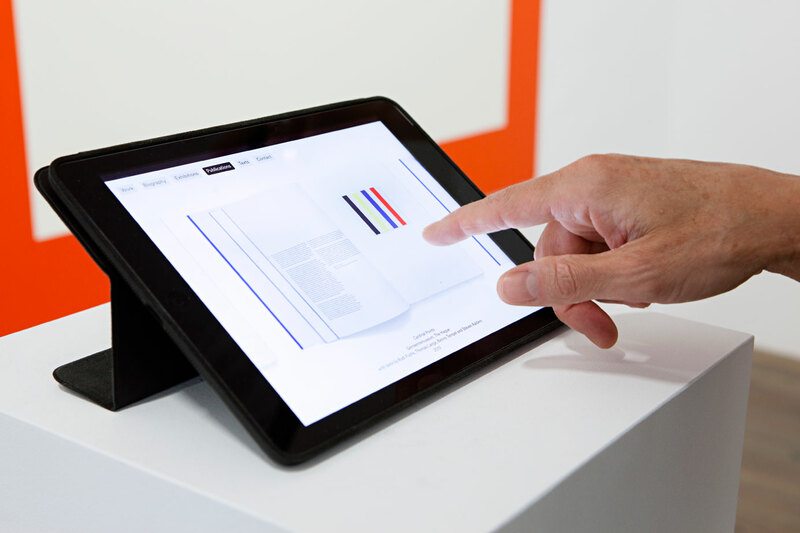 The site content consists of the artist’s entire oeuvre, a visual documentation of selected exhibitions, a comprehensive bibliography of the most relevant publications and some texts published by the author. 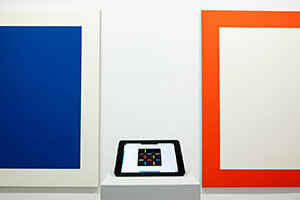 Click here to check out Steven Aalder’s work. All photos by Roel Backaert A preview of the website’s featured on Vimeo.